In 2012, the Land of the Leopard National Park was opened in Russia’s Far East. The park seeks to protect the world’s rarest big cats – Amur leopards. Since the opening, their population has increased threefold. The Russian region of Primorsky Krai has very diverse wildlife with bears, ungulates, lynx, and Far Eastern forest cats. However, the true treasure here are the leopards. The Land of the Leopard National Park is located on 280,000 hectares of taiga. It incorporates the “Kedrovya Pad” Natural Reserve, the “Leopardovy” Reserve and many others. The park is home to Far Eastern leopards, Amur tigers, lynxes, musk deer, wild hogs and different exotic animals. 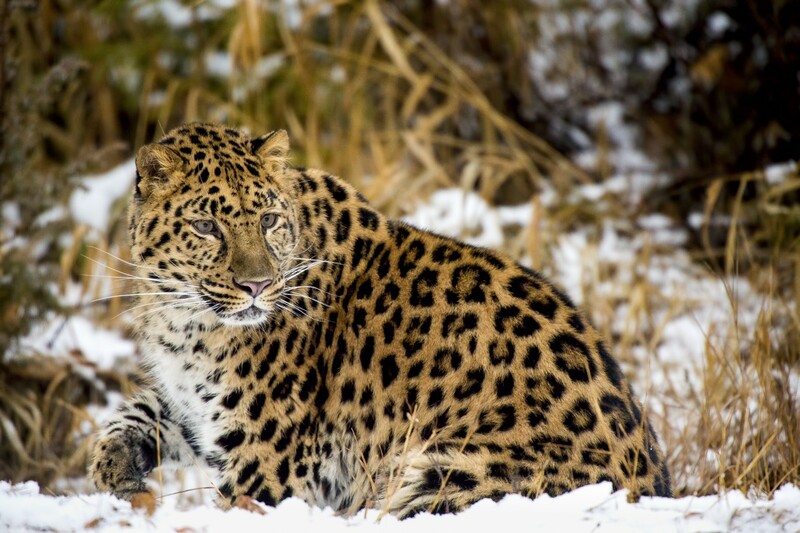 Russia initiated this project to ensure the survival of endangered Amur leopards. These predators are the rarest big cats on Earth. They live on a tiny border territory between Russia and China. Their thick fur makes them well adjusted to harsh long cold winters. Some ten years ago, their numbers fell to just 30 animals because of poaching, forest degradation and development projects. Many thought that the cat would disappear for good. However, against all odds in just five years its population increased to 86 leopards. The Wild Edens project, brought to you by Rosatom, has spent months observing behaviour of rare animals in The Land of the Leopard National Park. Today you have a unique opportunity to watch the film learn more about such animals.